Before launching Leeza Designs, I started my career off in the field of advertising, working at Hal Riney and Partners from 1994 – 1998, and Goodby, Silverstein & Partners 1998 – 2001. I took my first introductory interior design class at UC Berkeley in 2001 and knew this was for me. 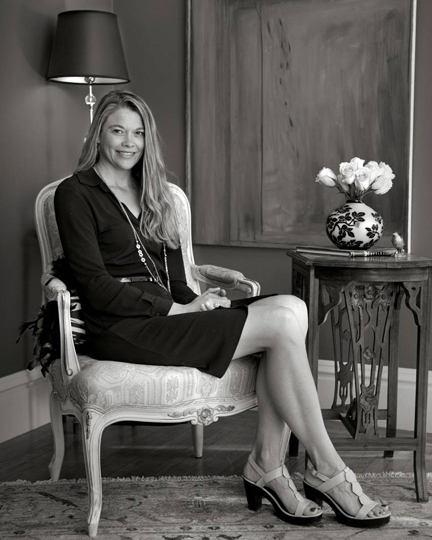 In 2002, I joined Albie Johnston Designs in Mill Valley and then shortly after launched my own business. Today, I continue my interior design studies at The Academy of Art University where I am pursuing my Masters in Fine Arts in Interior Architecture. I am affiliated with many organizations including the San Francisco Design Center, ASID and IDDP. Since 2009 I regularly donate to KIVA. KIVA‘s mission is to connect people, through micro-lending, for the sake of alleviating poverty. With my initial donation, I funded loans to three women and when they repaid their loan I selected new women to benefit from this donation. To date, I have funded many loans to women in ten different countries including places such as Peru, Cambodia and Nicaragua. These women have requested loans for things like an iron, wood, nails, roofing and even toilets. I hope to help these women make their homes a safer place for themselves and their families. I love beautiful things with a little spice, the drama of color, comfort, glamour, balance and casual entertaining. And, I believe that being in an environment that you enjoy nurtures the soul. Challenge me with a new space and we can muse together about the design for your new space. Determining your style is my challenge and puts the fun in my day: edgy, whimsical, bohemian chic, traditional, refreshing, flamboyant, romantic! I welcome your call and look forward to working on your design project! Here’s to creating interior beauty in your space!